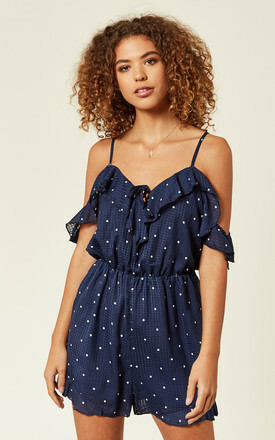 Look and feel stylish this season in this Navy Polka Dot Playsuit! 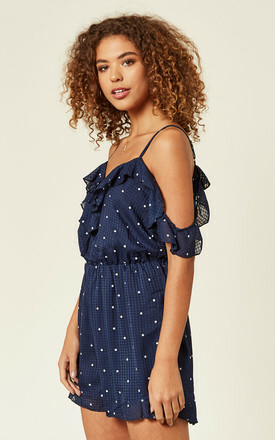 The off the shoulder style also cinches in at the waist to flatter your figure. To complete the look pair with barely there heels.